Where is the CLE located? Is there a tutoring limit? Where can I find tutor schedules? Can I request an appointment with a tutor? Where can I get my essay or assignment reviewed? Where do I go to get help with the TSI? How do I access StudentLingo workshops? How do I take a test from my instructor? How do study rooms work? What services are available to online students? What services are available to STC students in high school? Can people who are not STC students use the CLE? Every campus has a CLE that provides tutoring in many subjects that are offered at that specific campus. There is also a CLE Writing Center located within the Pecan library that provides paper review and tutoring for humanities courses. To see each campus CLE's hours of operation and building location, please visit our Hours & Contacts page. To see area and campus maps, visit our Campuses page. To see each campus CLE's hours of operation, please visit our Hours & Contacts page. All tutoring (in-person or online) is free. Although there is not an overall limit to in-person tutoring, each session is limited to 30 minutes at our Pecan and Mid-Valley campuses. Once the session time is over, students can sign up for a new session; however, they must wait for other students who are already in the tutoring queue. All students are allotted 3 hours on online tutoring at the beginning of each semester. If you complete your 3 hours on online tutoring and need additional online tutoring during the semester, you can submit an Online Tutoring Hours Request form on our Rules & Guidelines page. Tutor schedules, along with appointment availability, are available on the Tutoring page of our website. Some tutors, such as our nursing tutors, are full-time professionals with schedules that change frequently, so you will need to contact the CLE to get their schedules for a particular week. Most campus CLEs have tutors available for appointments. You can find appointment times by viewing tutor schedules on our Tutoring page. Appointments must be made at least one (1) day in advance and can be repeated for a limited time. You can contact the CLE to ask about and schedule your appointments. Please have your student ID number (A#) available. Writing tutors are available at the Mid-Valley, Nursing & Allied Health, Pecan, and Starr County CLEs. Writing tutors can review any writing assignment (essay, research paper, résumé, Blackboard discussion, etc.). All writing tutors fill out a paper review summary form when doing an essay/assignment review. You will receive the form from your tutor at the end of the session to turn in with your essay/assignment to your instructor or for your own records. If you can't come to a CLE to get your writing assignment reviewed, please consider using one of the services on our Online Tutoring page. Some textbooks are available at all campus CLEs. Textbooks are only checked out for two hours and must remain in the center. By contacting your campus CLE, you can ask if a specific textbook is available for check out. The CLE provides in-person workshops for the math, reading, and writing sections of TSI. You can learn more and find workshop schedules on our Workshops page. You can also find sample questions and practice tests on our Helpful Links page. StudentLingo workshops are available online through our Workshops page. Our Academic Coaches also provide in-person workshops to teach valuable skills, such as Time Management. The CLE does not offer any testing services for non-STC exams. We only provide testing services for individual students that have been referred by an instructor to the CLE to take a make-up exam. If the instructor's request has been approved and the CLE receives the exam, you will need to contact your campus CLE to make an appointment. Please visit our Testing section on the Rules & Guidelines page for more information regarding our testing services. CLE study rooms are checked out on a first-come, first-served basis and cannot be reserved in advance. You must provide a picture ID to check out a study room and you may use the room for up to 3 hours. If you need to track your Independent Study time for your instructor, don't forget to sign into JagTrax and inform the front desk staff when you arrive and when you leave so that the full session time is documented. South Texas College proudly serves Hidalgo and Starr county residents. If you live in Hidalgo or Starr county, you may request a free community user card from the library. Community users may use many of the CLE's services, such as tutoring, computers, and study rooms. Please visit our Community User section on our Rules & Guidelines page to learn more. The CLE is always hiring employees to work as Student Learning Assistants (tutors) and Supplemental Instruction Leaders. Other positions, such as Clerks and Testing Technicians, are not always available. 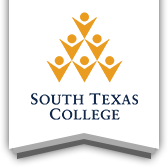 South Texas College employs part-time students and non-students. Visit our CLE Job Opportunities page to see the job descriptions for each position. There is also a link to the South Texas College Human Resources website where you can learn how to apply for these positions. For more information, please contact your campus CLE.